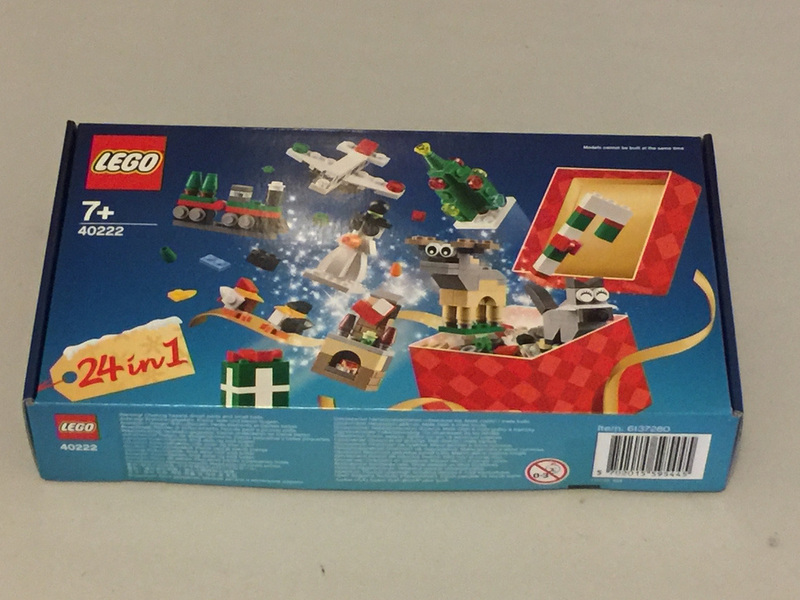 This year, as a free gift for buyers in the US, UK, New Zealand and Australia, LEGO distributed this set, 40222: Christmas Build-Up. It’s a special 24 models in one set, and because it’s kind of like an advent calendar, I’m doing a day by day, model by model review, just like this year’s advent calendars. Each day I’ll be updating this post with the next model, and a link will be available on the right hand side for the duration of December. Bookmark it to stay on top of what’s happened! In the box you’ll four parts bags and two instruction booklets. 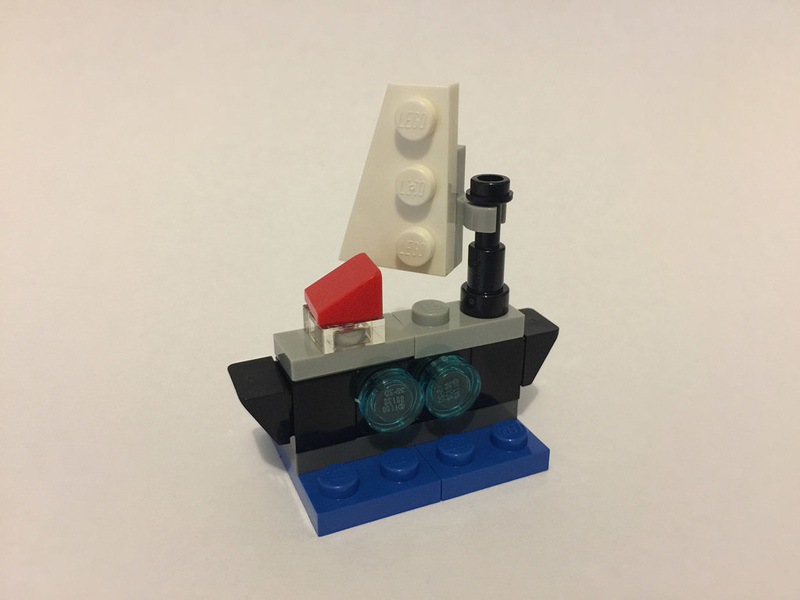 First to be built is a funny looking sailboat. It’s effective, especially the sail, but the shape just isn’t quite right. I think a couple of inverted roof bricks would have been a bit better, but hey, it’s Day 1! 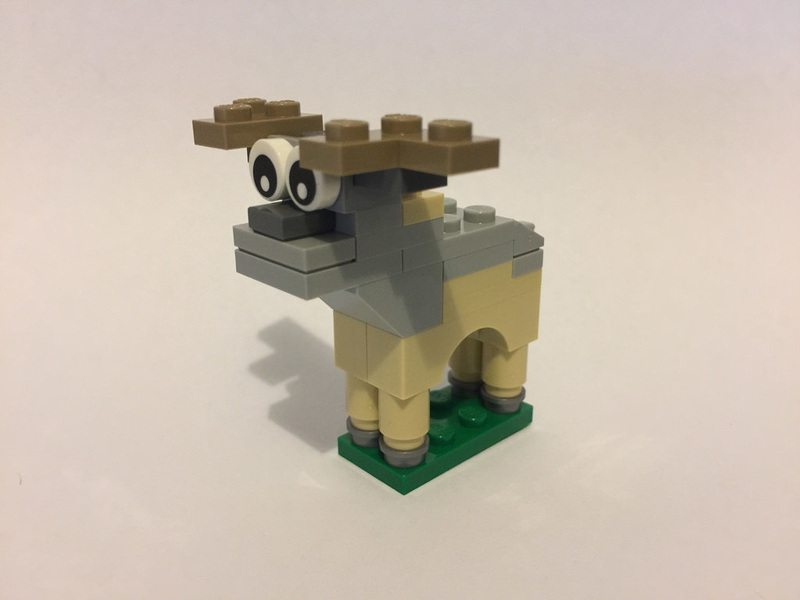 After taking apart the sailboat, it’s time for the next model, and it’s a slightly derpy looking reindeer! I really like this one. 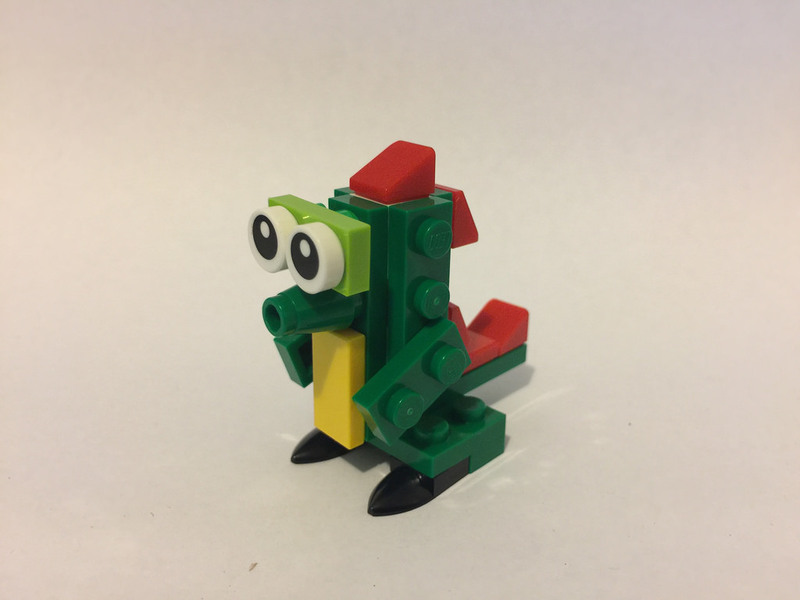 He’s pretty funny looking and I love the two different coloured bricks. I’m super excited about this set now. I wonder what’s next? 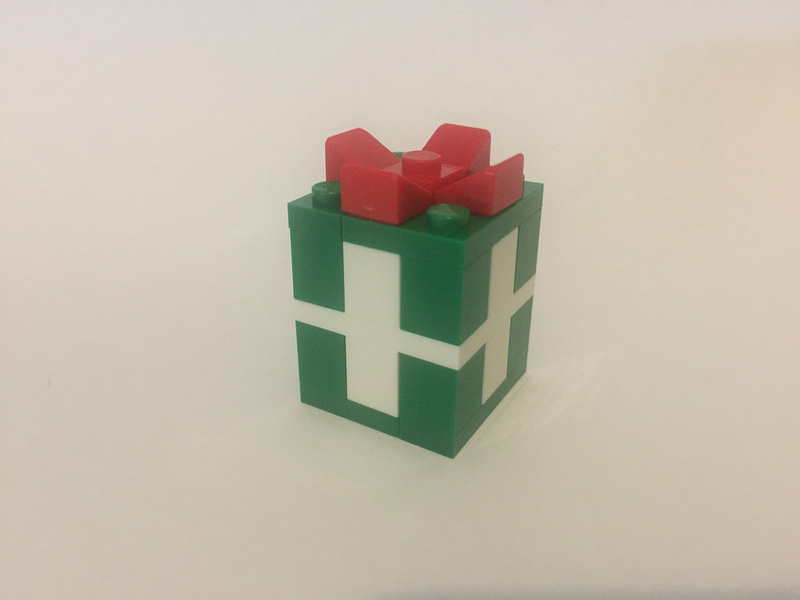 It’s December 3rd, and our gift today is a gift! It’s a simple build today, but I have one little grumble. It’s an easy fix, but I wish the white went all the way around the box like it should. I might fix it up. I do like the bow though! Today we have a much better build than yesterday. 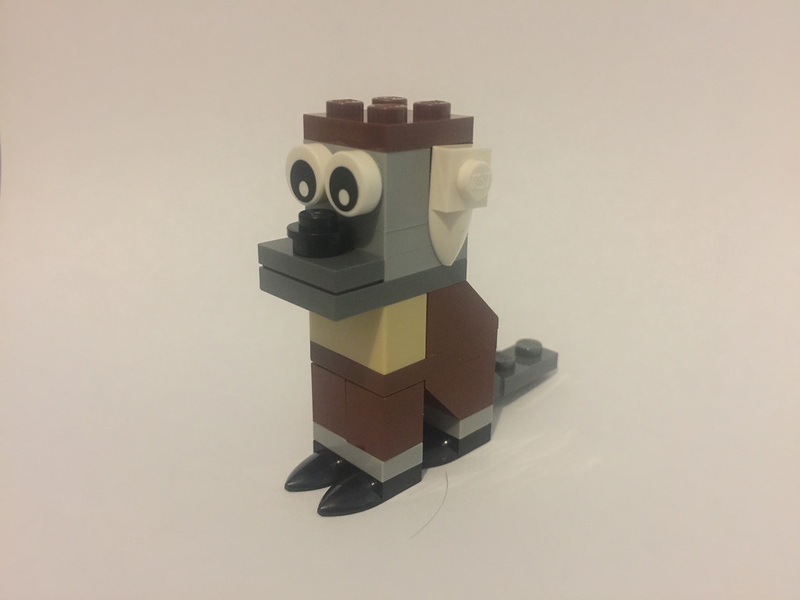 It’s a strange looking monkey (I think). I quite like him, but he does have a slight dog like quality to him. The mouth is perfect, I’m just not sure it quite works at this scale. Today we have another toy, a snowplough. Again, I’m only guessing here! 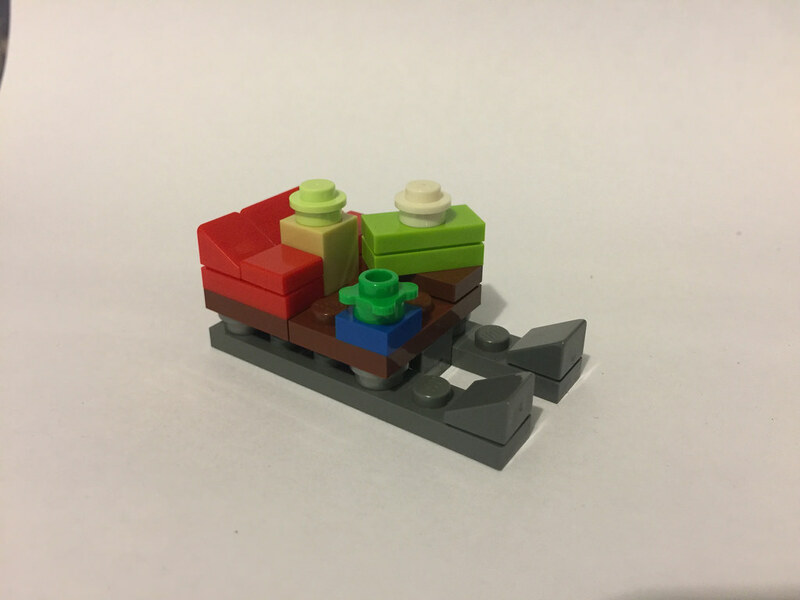 I really like the tiny toys that LEGO Christmas sets include. 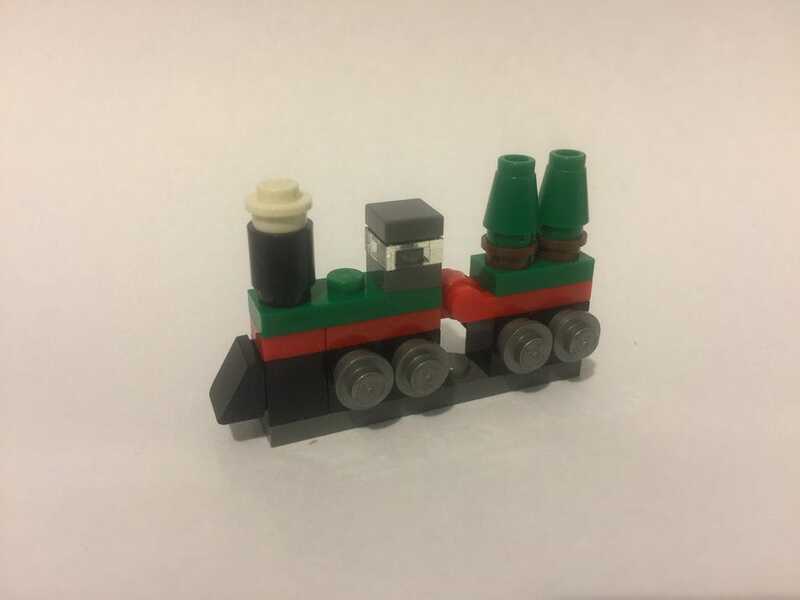 It shows clever use of parts. I’m not sure why the transparent 1×2 plates are there – maybe to hold the wheel plates on. Either way it’s a great little model. 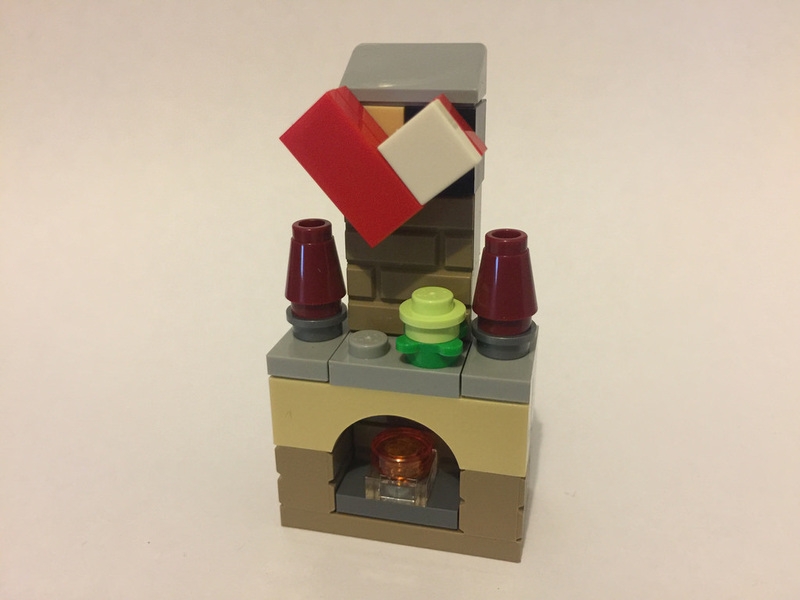 With easily the best model so far, Day 6 gives us a fireplace and stocking. I love the little details in this model, from the flower, to the tiny and perfect fire, to that stocking. 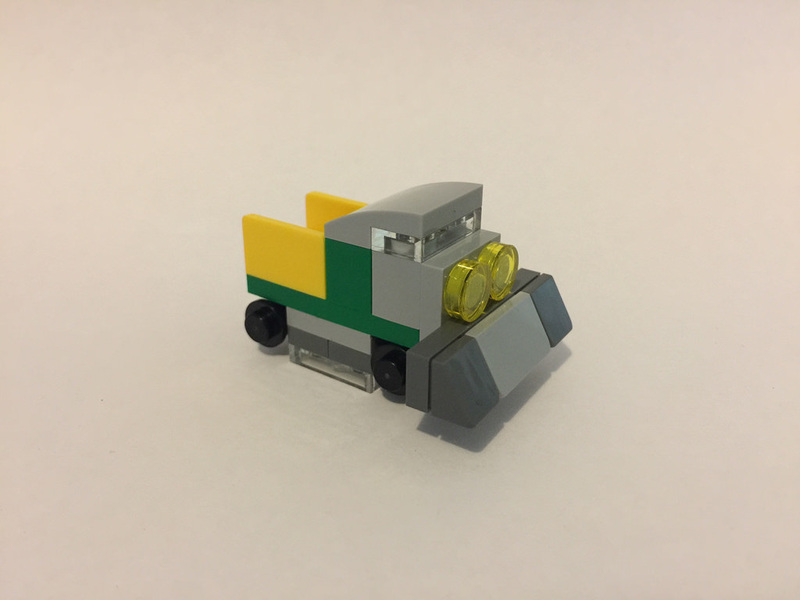 It’s a brilliant little build! It would have been great to see the two 1×1 bricks at the top blend a little more, but that’s the only gripe. 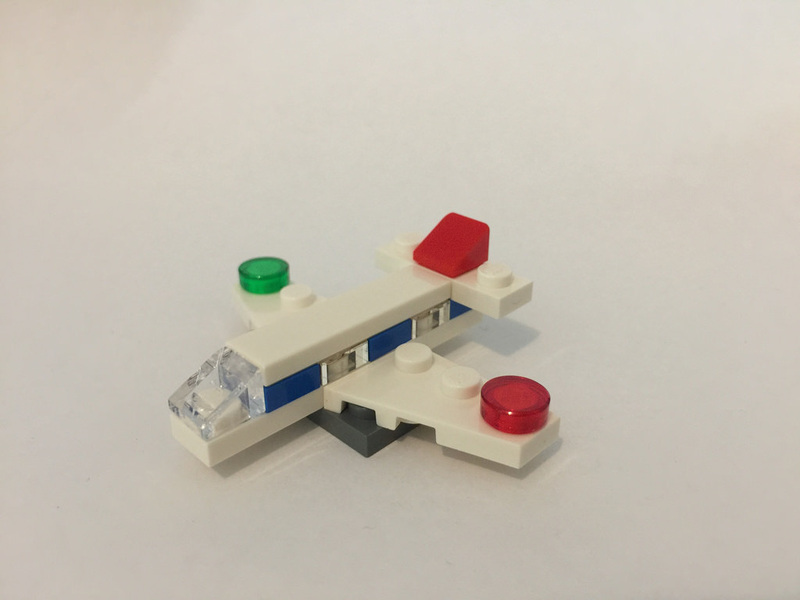 We’re at the end of our first week, and today’s build is a nice little aircraft model! I really like this one, although I’m not sure about the 2×3 dark grey plate holding the wings on. I think it could have been a little more hidden, maybe with a 3×3 X plate, but never mind. It looks pretty cool! I don’t really know what this is meant to be. I think it’s a mouse? 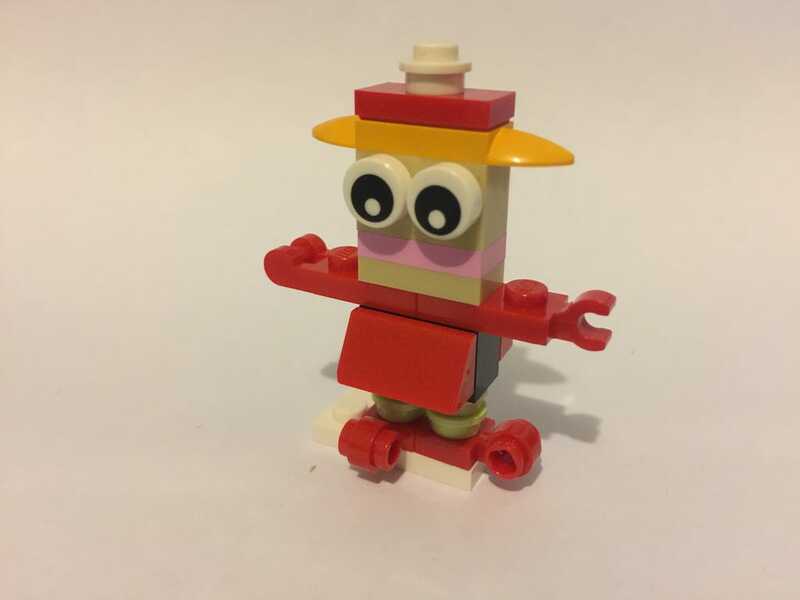 The body is all wrong, there’s no arms, and the face is just weird. Why is it winking upside down? I should clarify – that’s what the instructions told me to do. If I turn it around, it looks just as bad! This is a terrible model. Any ideas? 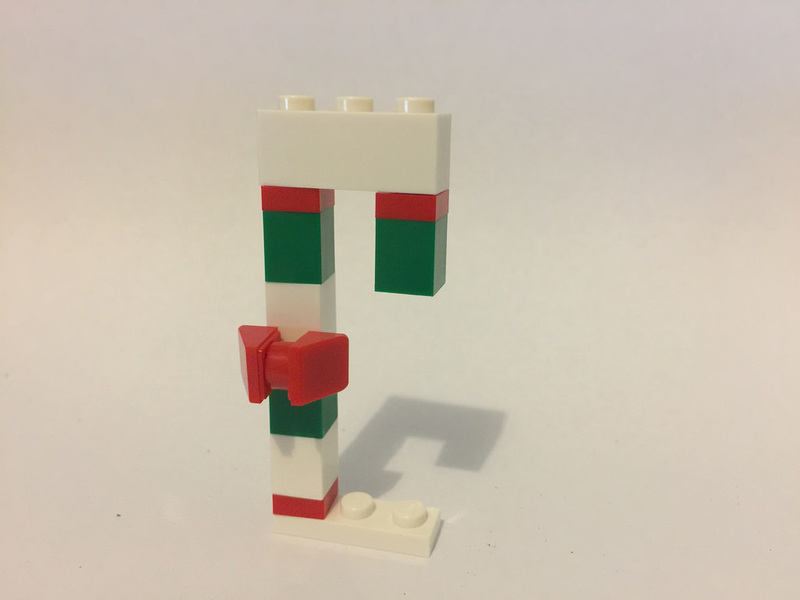 It’s a rather simple one today – a candy cane! Ignore the 1×3 plate at the bottom. that’s just so it can stand up. It’s simple, iconically festive, and the attempt at a bow is very nice too. It’s not the best one, but it’s certainly no mouse! Into the double digits! 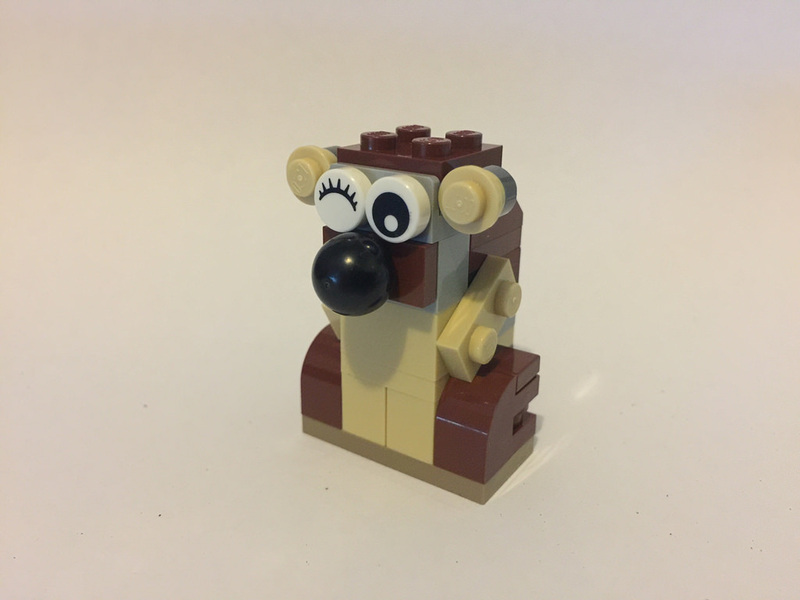 Day 10’s build is a brown bear. I quite like the look of this one. It’s recognisable, and I like the oversized nose. The blinking eye just looks odd. Yes, they’re rarer, but it’s pointless, and instructed to be put on upside down! It just looks odd. 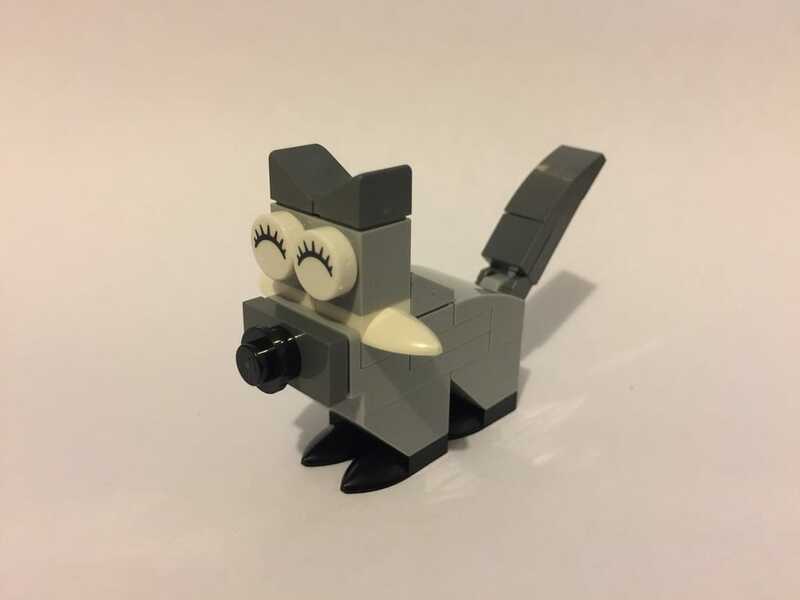 I get it’s supposed to be cuter, but I’m not a fan. The arms are a little disappointing, but they suit the job. 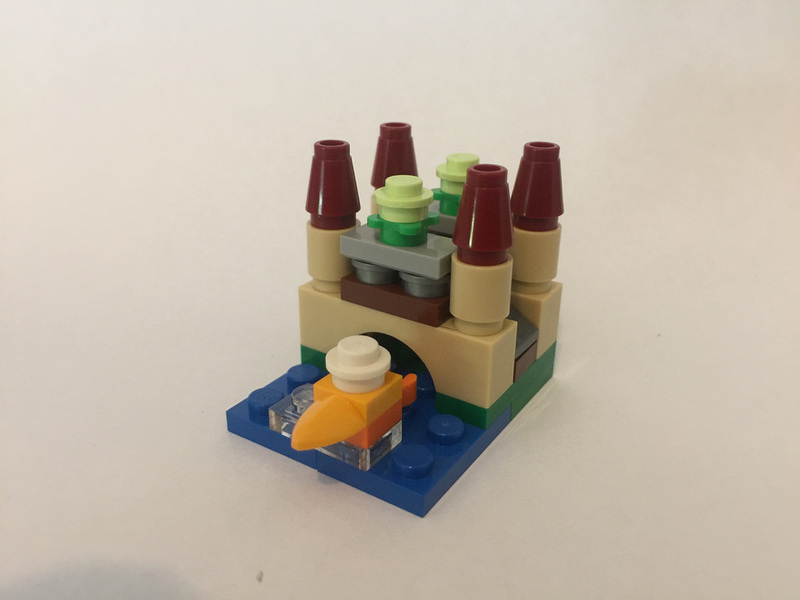 Today’s model is a much better effort. 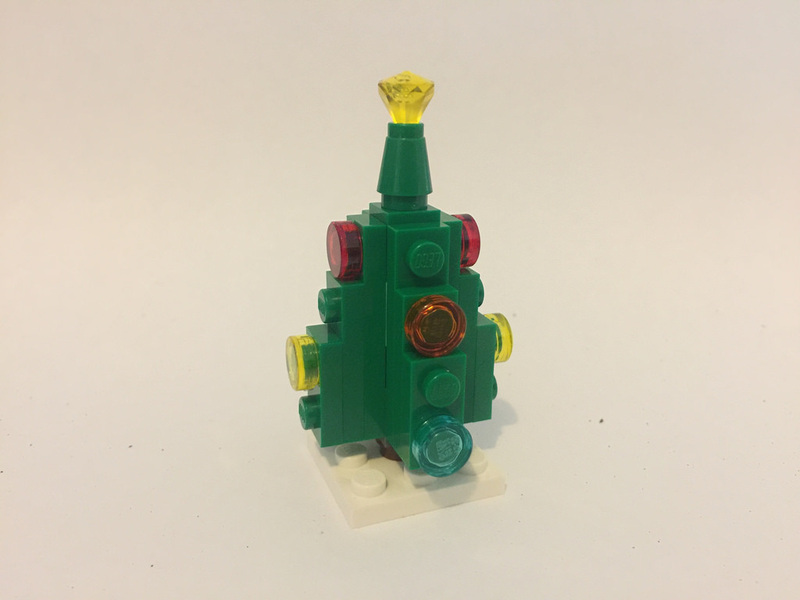 It’s a nice, simple Christmas tree! I don’t have much to say about this one. It’s the right shape, recognisable, and is simple. We’re back on track! 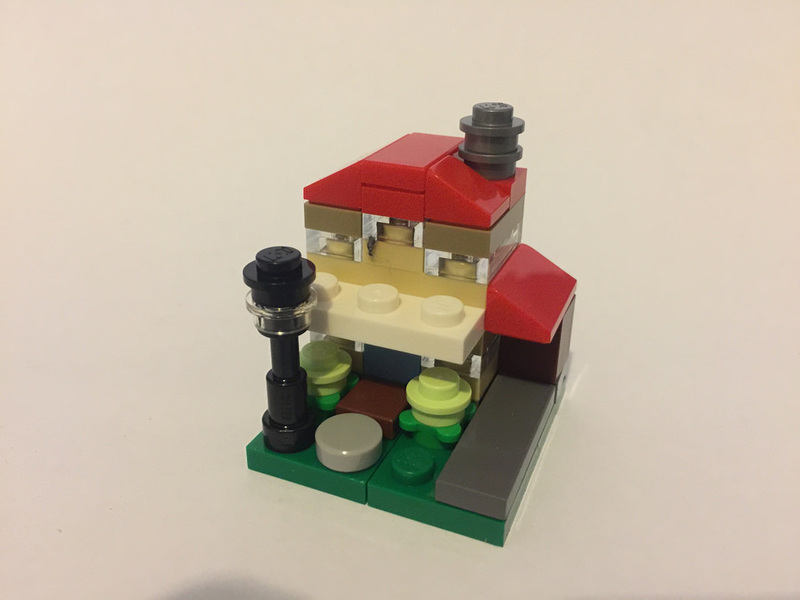 We’ve hit the halfway mark, and today we get a great little microscale house. It’s not festive at all, but it looks fantastic! There’s loads of details, including a garage and driveway, garden, balcony, and an enormously oversized lamp post. I love it! 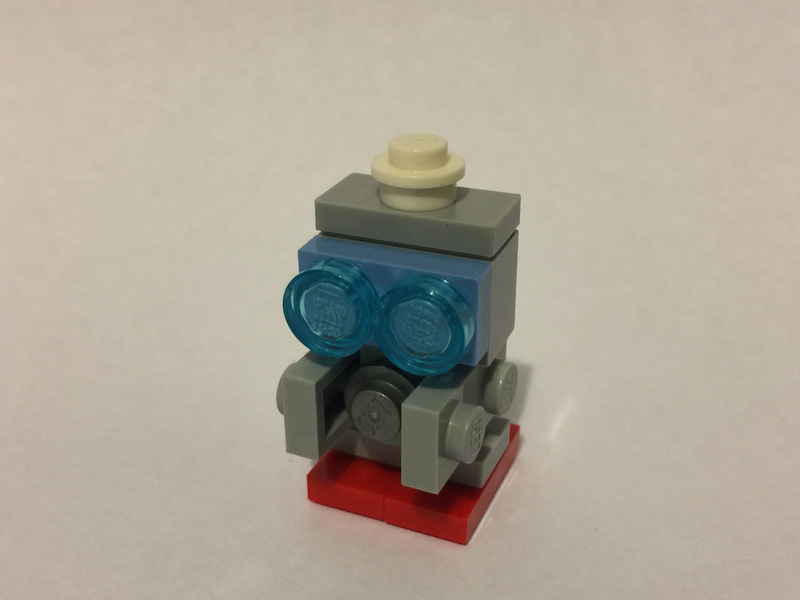 We’ve got a little toy robot today, and I really like him! He’s kinda cute. I’d like to see him with some bigger legs, but aside from that, I think he’s brilliant. It’s December 14, and we’ve got a little bridge, with something (I’m not sure what) in the water. I’ve got a feeling it’s one of those big duck boats. Again, it’s not really very festive, but I like the look of the bridge. It’s a little hard to figure out at this scale, but it’s clear after looking at the path in between the balustrades. Today we’ve got what I’m pretty sure is a cat. I quite like this little guy, although the whiskers are a little strange, and it looks like it’s got a dummy in it’s mouth! I understand that the size limits detail, so it’s not bad for what it is, but if you look at it too long, it starts to look very alien. At least it’s not winking! Today we are checking out the little toy train, and isn’t it cute! I love the trees on the back, but the engine bothers me a little. 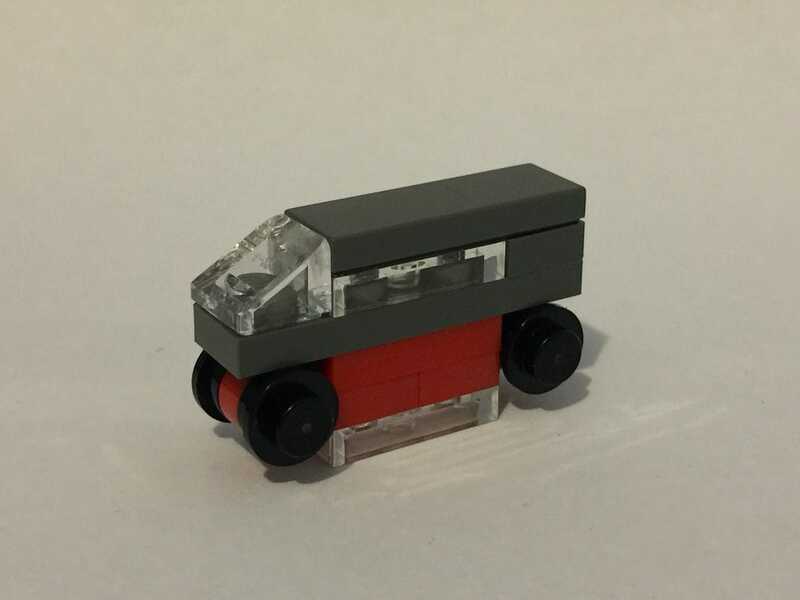 There seems to be some wheels missing, but that’s the problem with that element, and the 1×1 white stud is the smoke, but it would have been way better to use a white ice-cream element, as they’re always used to represent smoke, and they do it quite well. 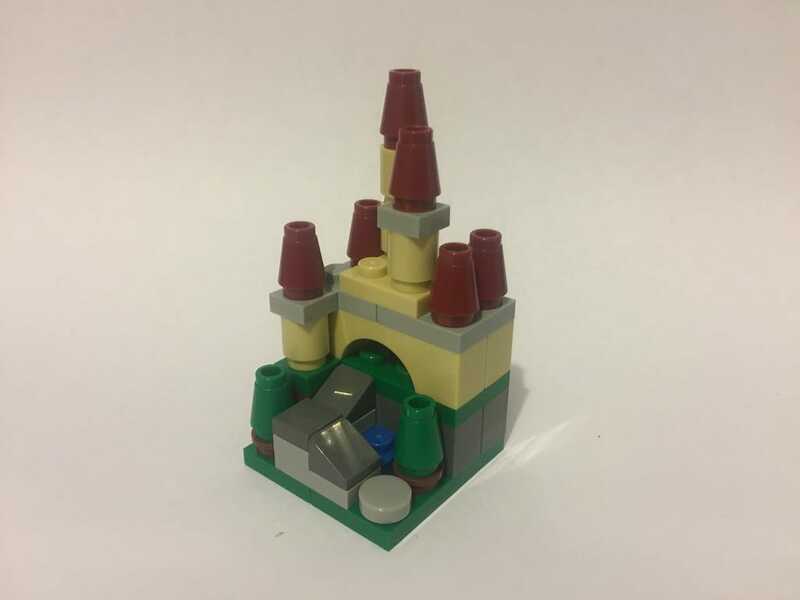 Today’s build is my favourite one so far, with a beautiful castle on a hill. I love the ramp going up through the trees, and the tall towers on the castle. It’s fantastic, from the build down to the colours. For a free set, this has been great fun. A week to go! We’re back to the weird builds today with what I’m guessing to be an elf. Maybe it’s female one as it kind of looks like it’s wearing a dress. The shoes are great, but the rest is just wrong. The hands and that mouth are crazy! I’ve got nothing else to say about this one, apart from huh? We’re into the last week, and today we get a very simple little car, or bus, or limousine. I’m not really sure, so I’m going with a car. It’s about as simple as you can get, so there’s not much to say. I’d prefer to see a different colour instead of dark grey, or even if the red and grey were swapped, but that’s really all I’ve got. 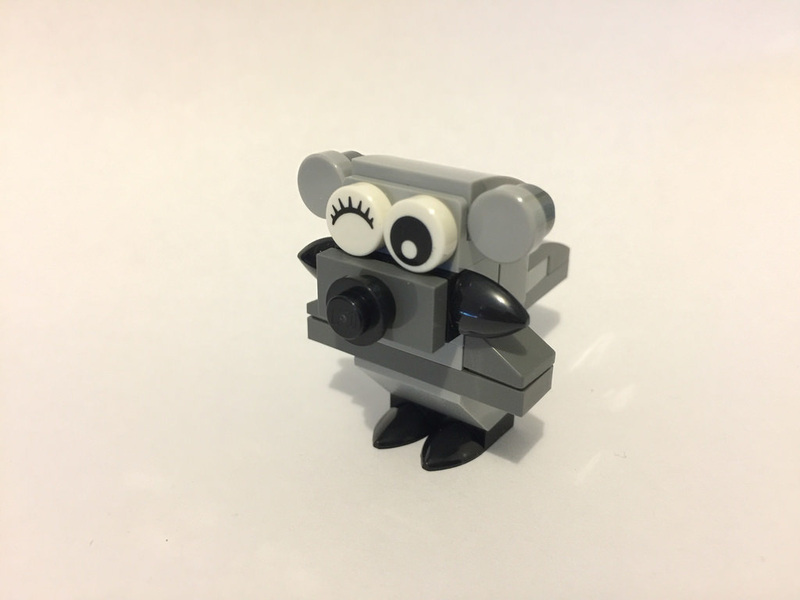 Today’s build is a rather special one – it’s Brickley, the unofficial mascot for the LEGO Shop and LEGOLAND! I think he’s brilliant. The plate behind his eyes is the wrong colour, but apart from that, he’s immediately recognisable, and I love his facial expression. This one is a winner. We’re back in the festive swing of things with a tiny sleigh for Santa. I like the inclusion of the presents, but I’m not sure where Santa is going to sit. Maybe he’s on the back of one of the reindeer? 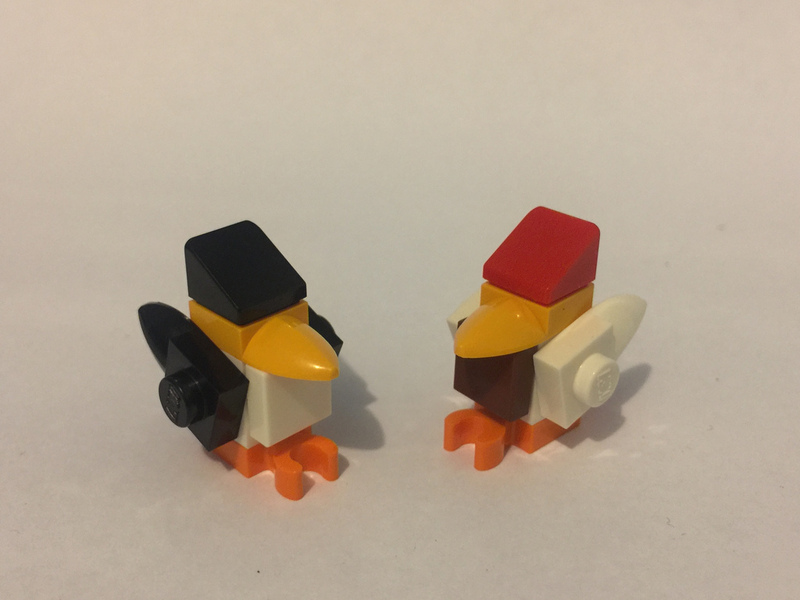 Today’s build is a couple of adorable little birds. They’re simple, brilliant, and the colouring is spot on. I think they might be robins? I really like these little guys. 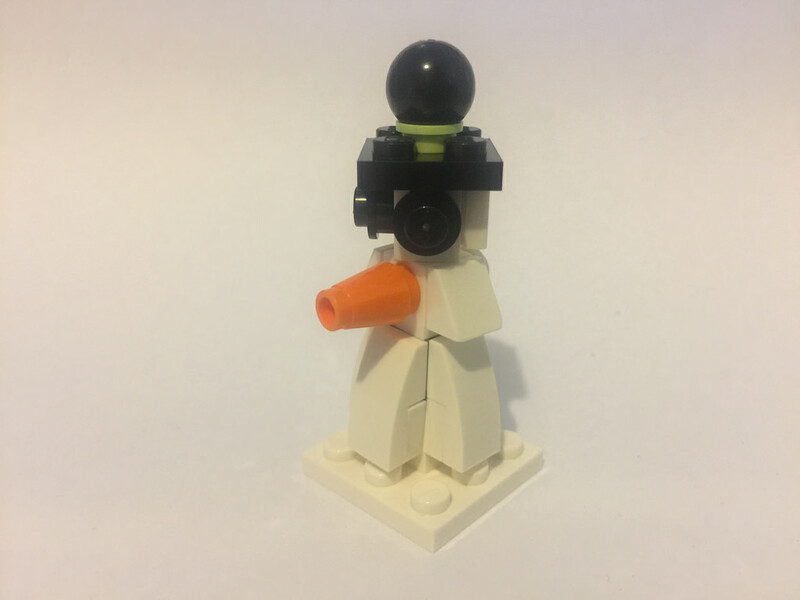 It’s the second last day, and we’ve got a very strange looking snowman! It was all going so well until the top part was built. The eyes are crazy, and what’s with the hat? I’m not sure why a lime green stud was used, because it looks very odd. I like the body, but the rest isn’t right. It’s Christmas Eve! 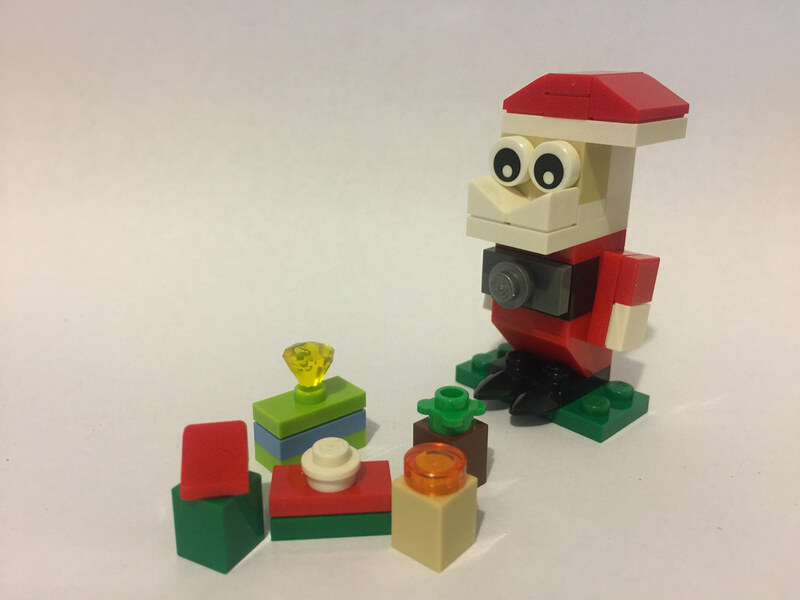 Our last model is of course, Santa! I’m really impressed with this final model. It’s fun, with the right proportions (almost – the belt is a bit high!) and the presents just add a little extra. I’ve been really impressed with this set. Sure, it’s had some interesting (and sometimes quite dumb) models, but for a free set, it’s been a blast to build each day. I’m very pleased to add it to the collection. I wonder what next year will bring? I’d love to hear your thoughts on this set – why not let me know in the comments?